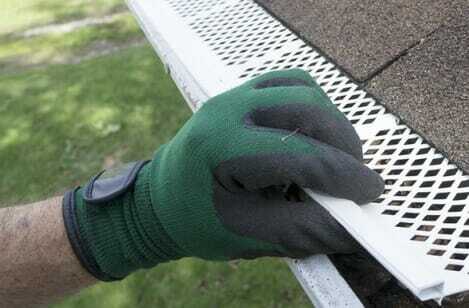 Most homeowners don’t spend a lot of time thinking about gutters, but understanding their importance can prevent costly home repair bills in the future, let STX Roofing & Construction install an appropriately sized and functional gutter system on your home today! Gutters funnel water off of the roof and away from your home, which protects your siding, windows, doors and foundation from water damage. While that sounds important, many homeowners don’t realize how much damage can occur without the installation of gutters on their home or when their existing gutters are clogged, leaking or broken. When gutters aren’t functioning properly, rainwater runs off of the roof and collects on the ground near the foundation. Heavy rains can result in standing pools of water which are not only a nuisance but can cause a multitude of problems. Erosion; topsoil protects the foundation of your home. If water is not correctly diverted away from your home the topsoil will erode and leave your foundation vulnerable. If this list sounds somewhat dramatic, remember that you don’t have to live in an area that experiences extreme weather conditions to suffer the effects of clogged or damaged gutters. Consider this startling fact: experts estimate that one inch of rain on an average sized house roof creates up to 500 gallons of rainwater runoff. Now remember in Houston we get thunderstorms that cause flash flooding and drop inches of rain in a short amount of time. I bet you are thinking about gutters now! Call STX Roofing & Construction today for a free estimate!